Marijuana cultivation has emerged as a very lucrative business due to the great demand for marijuana. Many countries around the world cultivate marijuana. However it is the Latin American countries which are famous for their marijuana cultivation. Marijuana produced in these countries is considered to be the best. Canada has also emerged as a major producer of marijuana. There is a great demand for marijuana world wide. It is used for both recreational and medical purposes. Medical use of marijuana has been legalized in many countries like Canada, Germany. In the United States, 16 states have legalized the medical use of marijuana. Marijuana is used in the treatment of diseases such as cancer, arthritis, glaucoma, HIV\AIDS etc. So the demand for marijuana is increasing every day. So, many of you would want to know the best way to grow marijuana . For that you first know about marijuana seeds. Marijuana seeds are primarily of three types -Sativa ,Indica and Ruderalis .Sativa is considered better than Indica as it gives a better high , Hybrids of these varieties are also available. Marijuana seeds are also available in male and female versions . Female marijuana seeds are highly in intoxicating and so are very popular . In order to grow marijuana you should select the right seeds. Many cheap marijuana seeds are available in the market. But do not go for the cheap varieties. Cheap marijuana seeds cannot give you the best results. For easy growing marijuana buy high quality seeds. They will give you superior quality marijuana. To grow marijuana you must first germinate the seeds. For germination , you soak the seeds in a cup of warm water. Remember that marijuana seeds need a warm and moist environment to germinate. These seeds require about 12 hours to 8 days to germinate . For easy growing marijuana what is you need is the best kind of soil. If the soil is not ideal then the production will be poor. Loamy soil works best for marijuana. After germination of seeds ,plant the sprouts. Use fertilizers as they will provide nutrients to the plants and help in their growth. Increase the amount of fertilizers used when the plants grow big. 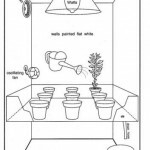 Also for quickly facilitating the growth of marijuana plants, one should ideally grow them indoors. It will protect your plants from harmful conditions of nature like heavy rain and frost. But it will also demand greater care from you. You have to make arrangements for artificial lights. Use fluorescent lights. Also do not forget to water the [plants .However do not overdo this. For easy growing of marijuana you also need to protect your plants from pests. For this use a good quality pesticide. Try to use organic pesticides. Remember that marijuana grows best in well ventilated conditions. 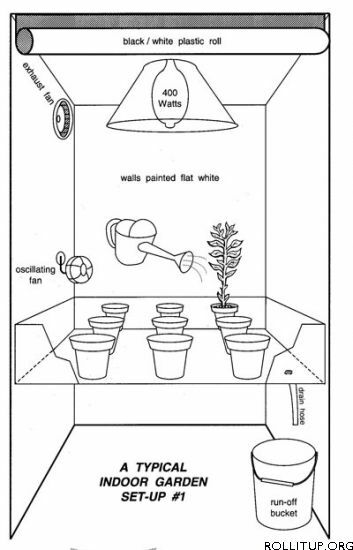 So the room where you plan to plant your marijuana should be well ventilated. If you are growing marijuana in your closet , then open the door of the closet many times a day for air circulation. Thus for easy growing of marijuana proper care should be taken. We would like to end this article on a little note on legality of growing marijuana. In most states growing of marijuana is subject to severe restrictions or is explicitly banned. So before you consider farming the weed, please do consult your lawyer to understand your local laws and check if they permit the growing of marijuana. This entry was posted on Sunday, July 10th, 2011 at 22:00	and is filed under Growing Marijuana. You can follow any comments to this entry through the RSS 2.0 feed. You can leave a comment, or trackback from your own site. Best indoor greenhouse led lighting for marijuana growing. If you have a need,just contact me. We are certified supplier inAlibaba. We are looking for agent and distributor all over the world. Warmest welcome to visit our website:www.ledaquagrow.com. I want to know, what leaves am I supposed to clip, so it can start budding.